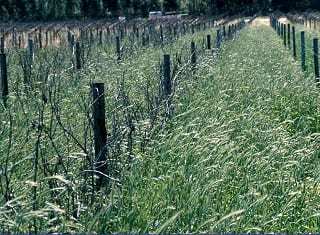 The aim of this study was to compare the performance of triticale established in the work row of a drip irrigated vineyard with that of triticale established in a micro-sprinkler irrigated vineyard in which the work row could be wetted. Triticale (Triticale cv. Usgen 18) is a winter growing annual grain species frequently used as a cover crop by producers in the vineyards of the Western Cape and Lower Orange River Region. 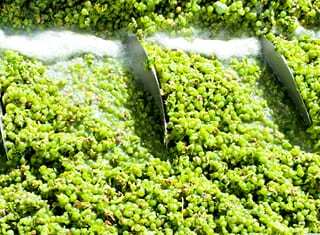 The species is known to perform well on medium textured to heavy soils under full surface irrigation. However, drip irrigation is installed increasingly in the vineyards of the Western Cape, particularly on these soils. 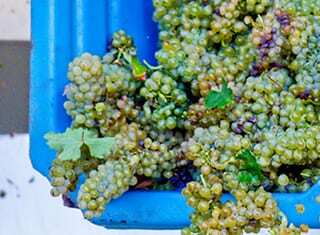 The trial was carried out in a 14-year-old Chardonnay/99 Richter vineyard established on a sandy clay loam soil (Table 1) at the ARC Infruitec-Nietvoorbij Research Farm near Robertson (33°50’S, 19°54’E) situated in the Breede River Valley, Western Cape. The soil was classified as a Tukulu and has a poorly defined A horizon (0 – 300 mm) grading into a B horizon (300 mm – 1.05 m) characterised by a weakly developed cutanic structure overlying unspecified material with signs of wetness. The mean annual rainfall amounts to 278 mm, of which approximately 178 mm precipitates from March to August. The vines were spaced 1.5 m in the row and 2.75 m between rows and trained on a seven-strand double lengthened Perold trellis system. The treatments were replicated three times in a completely randomised block design. Each plot (replication) consisted of a surface area of approximately 165 m2. A work row functioned as a buffer zone between treatments in different working rows and a buffer the length of five vines was left between treatment plots in the same vine row. A maximum irrigation of 16 mm (minus rainfall) was applied weekly for the first eight weeks after planting (mid-April) in both the micro-sprinkler irrigated treatment (M) and the drip-irrigated treatment (D). 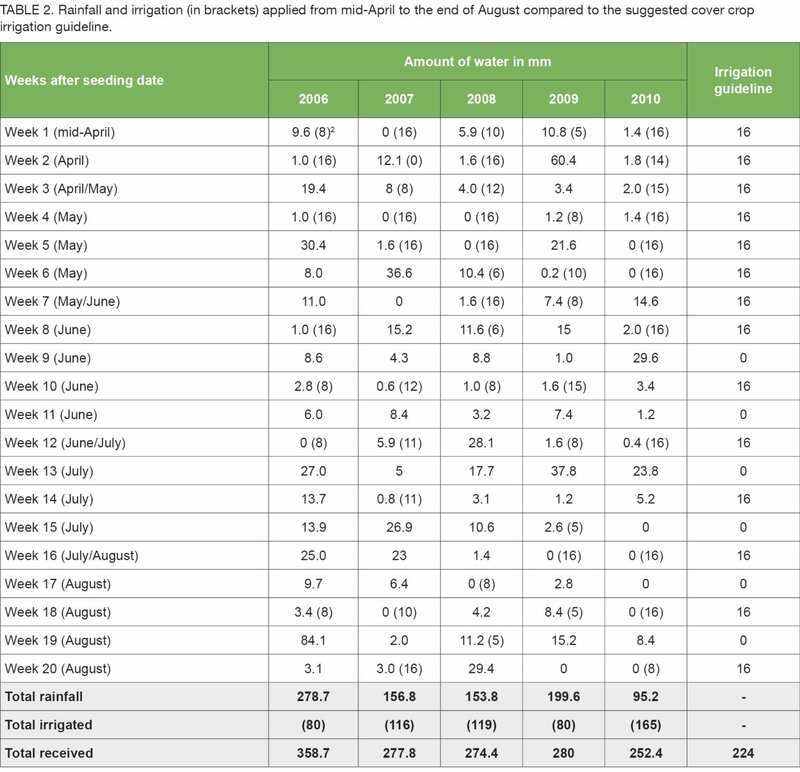 Thereafter, a maximum of 16 mm (minus rainfall) was applied every fortnight (minus the rainfall) until the end of August (Table 2). The micro-sprinklers were installed on the irrigation line in the vine row in an upright position at 1.5 m intervals, delivered 25.7 ℓ/h and had a 360° wetting pattern. The drippers were RAM 17010, which applied 2.3 ℓ/h and were installed at 0.75 m intervals in the vine row. The treatments received 30 kg/ha of phosphorous (P) during seed bed preparation in March 2006 and 28 kg/ha of nitrogen (N) at the two to six leaf stages (during May). During the 2007/08, 2008/09, 2009/10 and 2010/11 seasons, no P was applied, but the same amount of N was applied. The P and N were broadcast. 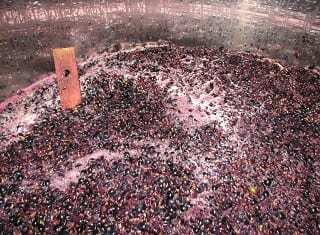 The weeds in the vine row (0.5 m wide strip on both sides of the grapevines) were controlled chemically as soon as the height of the weeds were less than 300 mm below the cordons of the grapevines. The dry matter production (DMP) of triticale was estimated at the end of August from a sample by harvesting the aboveground vegetative growth in a 0.5 m2 sub-plot randomly chosen in an experimental plot. Samples were oven-dried at 105°C for 48 hours. The DMP of triticale in M and D in 2007 was only 50% of that produced in 2006 (Figure 1). The work row receiving 81 mm and 122 mm less water in 2007 compared to 2006 in M and D (Table 2), respectively, contributed to the decline. The poor performance of D at the end of August 2008 compared to that of M (Figure 1) was attributed to the relatively low amount of winter rainfall, as well as the low precipitation during the first eight weeks of growth (Table 2). Although the precipitation in 2007 and 2008 differed by only 3 mm, the rainfall during the first eight weeks after planting was 39 mm more in 2007 than that of the same period during 2008. It seems, therefore, that the amount of water that triticale receives during the first eight weeks of growth has a major impact on the DMP of the species. Similar to 2006, the relatively high winter rainfall during 2009 (Table 2) prevented the irrigation method from having a significant impact on the performance of triticale (Figure 1). The winter precipitation during 2010 was less than 100 mm (Table 2), which resulted in the DMP in D being only 15% of that in M (Figure 1). During the dryer winters, therefore, irrigation water needs to reach the work row in order for triticale to produce a significant amount of dry matter by end of August (before grapevine bud break). FIGURE 1. Effect of applying irrigation with micro-sprinklers (M) and drippers (D) during winter on the dry matter production (DMP) of triticale (Triticale cv. Usgen 18) just before grapevine bud break (end of August). An acceptable DMP can be achieved with triticale by the end of August on sandy clay loam soils in the Breede River Valley with as little as 157 mm of rain from mid-April to the end of August. However, approximately 50% of the precipitation should occur during the first eight weeks with intervals between rain incidents not exceeding a fortnight. The precipitation during the rest of the 20-week growing period should also be more or less evenly spread, with intervals between meaningful rain not exceeding three weeks. To sustain a DMP in excess of 4.5 tons/ha with triticale during winter in the Breede River Valley, one should be able to irrigate the work row. The cover crop triticale (Triticale cv. Usgen 18) established on a sandy clay loam soil in a drip irrigated Chardonnay/99 Richter vineyard near Robertson produced an acceptable amount of dry matter with as little as 158 mm of rain (equal to long term average of Robertson). However, approximately 50% of the rain occurred during the first eight weeks after planting, with intervals between rain incidents not exceeding a fortnight. The precipitation was also more evenly spread during the following 12 weeks of the 20-week growing period, with intervals between meaningful rain not exceeding three weeks. Rainfall of less than 100 mm from mid-April to the end of August resulted in an 85% reduction in the dry matter production (DMP) of triticale compared to where this cover crop was irrigated with micro-sprinklers under the same edaphic conditions. This is an indication that water needs to reach the work row during the dryer winters to sustain a DMP of more than 4.5 t/ha. The Agricultural Research Council and Winetech for funding, as well as Soil and Water Science at ARC Infruitec-Nietvoorbij for infrastructure and technical support. – For further information, contact Johan Fourie at FourieJ@arc.agric.za.